This program is an editor for FSeq data. FSeqdata is a native format for Yamaha's FS1R, that stores formant information needed to recreate sounds, much like samples. Features like a tracker style editor, importing of wavefiles, drawing formants as lines, moving and scaling of formants etc should give you the possibility to actually use the features of your FS1-R that makes the machine so special. You've paid for it damnit. I'll explain it with an example. This is a short snippet of the recorded voice of a friend of mine. She sings 'a place' here. 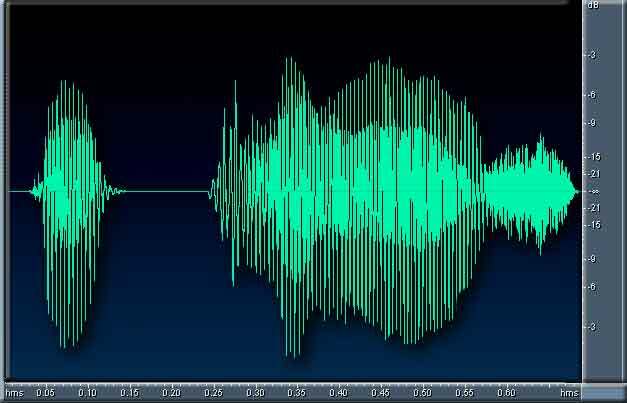 When we look at the spectrum of the sample, you'll notice that human voices consist of lines and random dots. The lines are called 'voiced formants'. The most prominent line (most of the times the lowest) is called 'fundamental pitch'. You also see that the formants are not equally strong all the time. So each formant is a serie of formant/amplitude pairs. Hearing only three formants is enough to make understandable speech, but for extra realism the fs1r supports up to 8 voiced and unvoiced formants. Why does this look different? Well, that is because in FSeqEdit, you see the formants in the way they are stored in the FS1-R. Frequencies are not stored as herz, but as notes. This means that higher frequencies are stored less accurately than the lower ones. The good thing is that our ears work the same way, so you won't notice. How do we know wich formants are voiced, and wich ones are unvoiced? 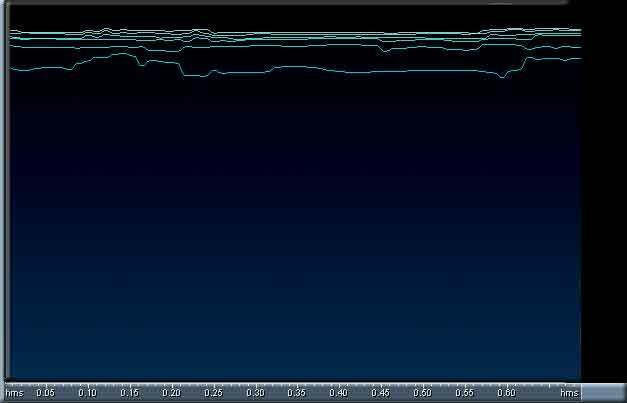 The internal preset FSeqs of the FS1-R does it like this: Find the 8 most prominent frequencies and its amplitudes, and the fundamental pitch. Unvoiced formants are muted, unless no fundamental pitch can be found; then the voiced frames are muted instead. 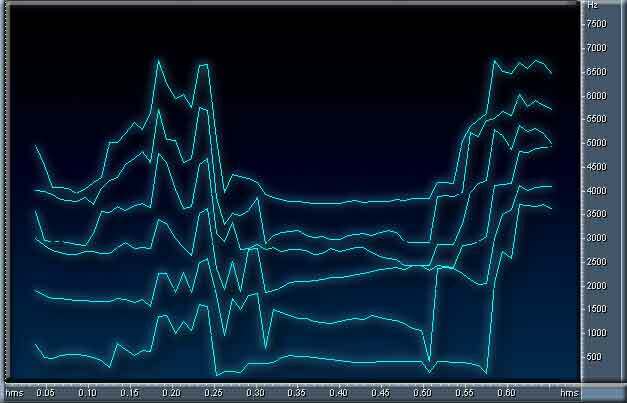 This causes sudden changes in amplitude, and does not always sound good. Therefore, FSeqEdit allows you to use another method. This splits everything at a certain frequency. Everything below this frequency is assumed to be voiced, and the rest unvoiced. 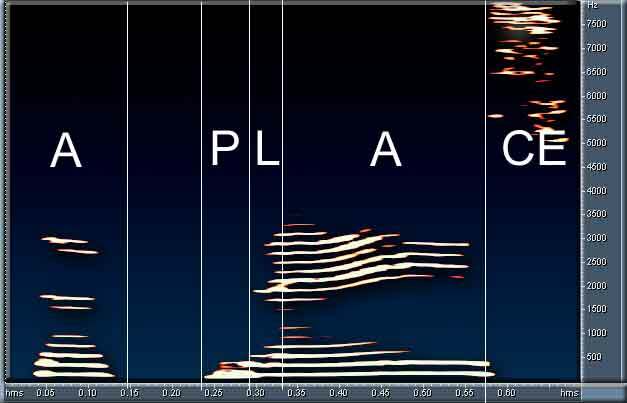 Using this method its possible to have more complex sounds, because voiced and unvoiced frequencies are different, and can sound simultanious.